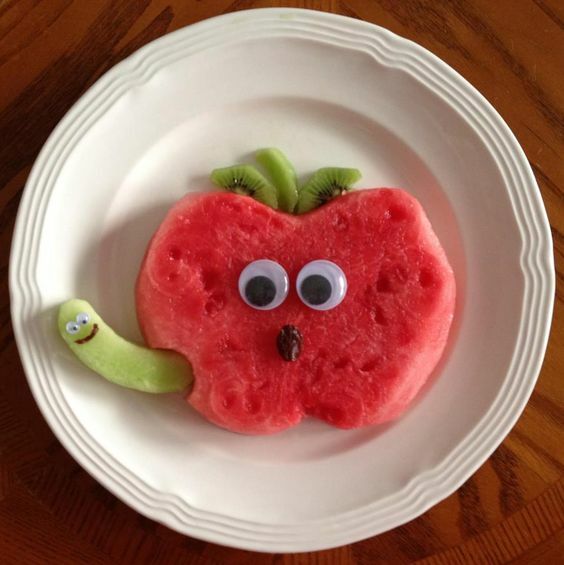 Want your kids to eat more fruit? Sometimes it’s all in the presentation. If yours is lacking, you’re in luck. 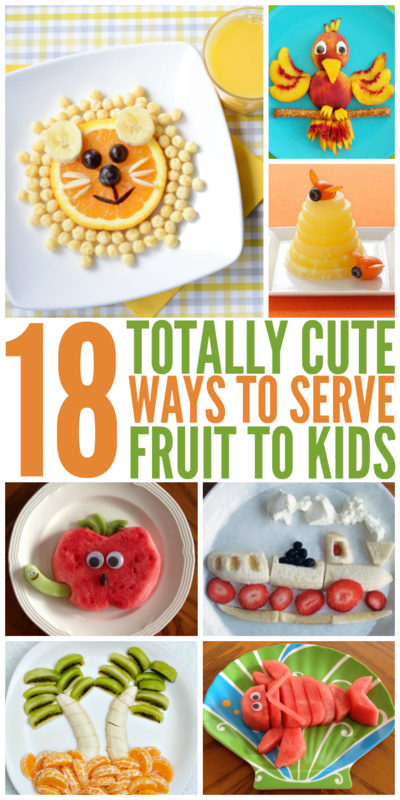 We’ve rounded up 18 totally cute, totally tasty ways to serve fruit to kids. And the good news is that most of these don’t take long to make (perfect for us lazy parents). In just a few minutes, you can create a fun and healthy snack that your kids will be excited to eat. 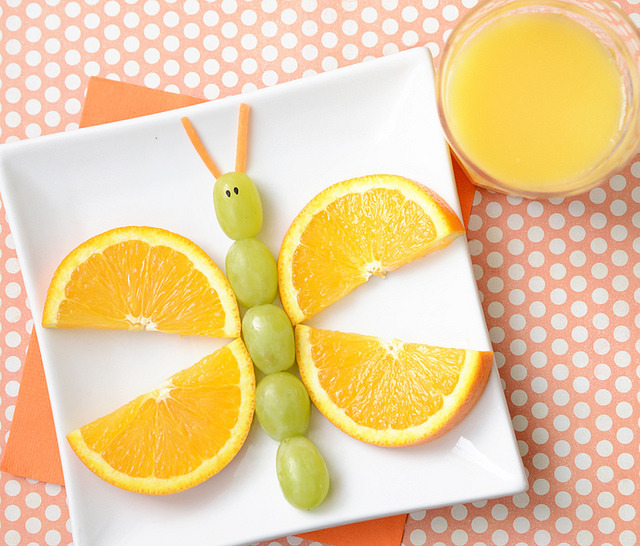 Make a fruity butterfly out of grapes and orange slices. 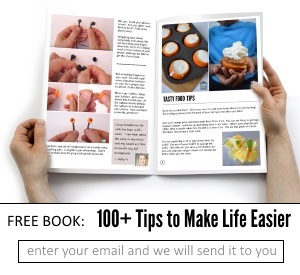 This one’s so easy that even I can do it! 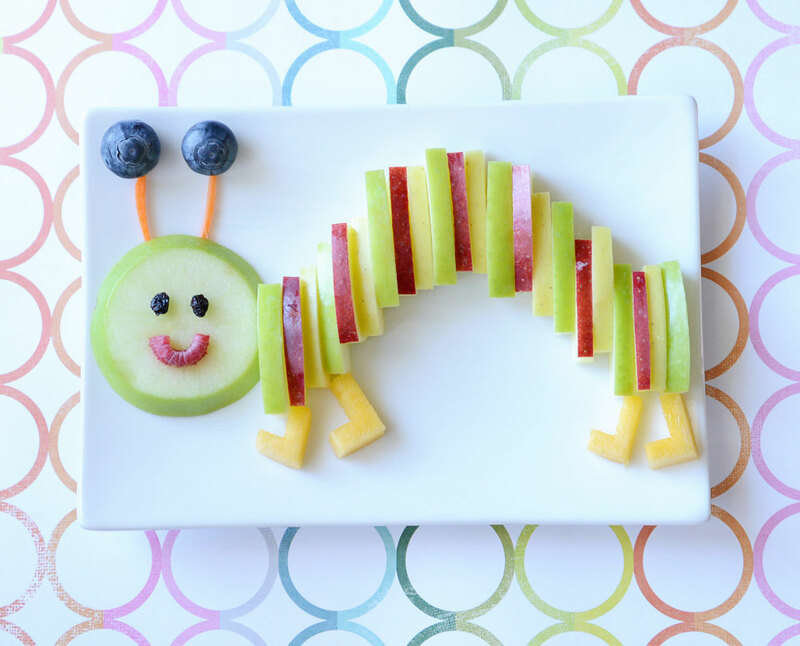 Watermelon, honeydew melon and kiwi fruit come together to make this cute worm in the apple snack. The googly eyes are a nice touch, but you may want to leave them off for the kiddos who aren’t old enough to realize that they’re not edible. Roar! 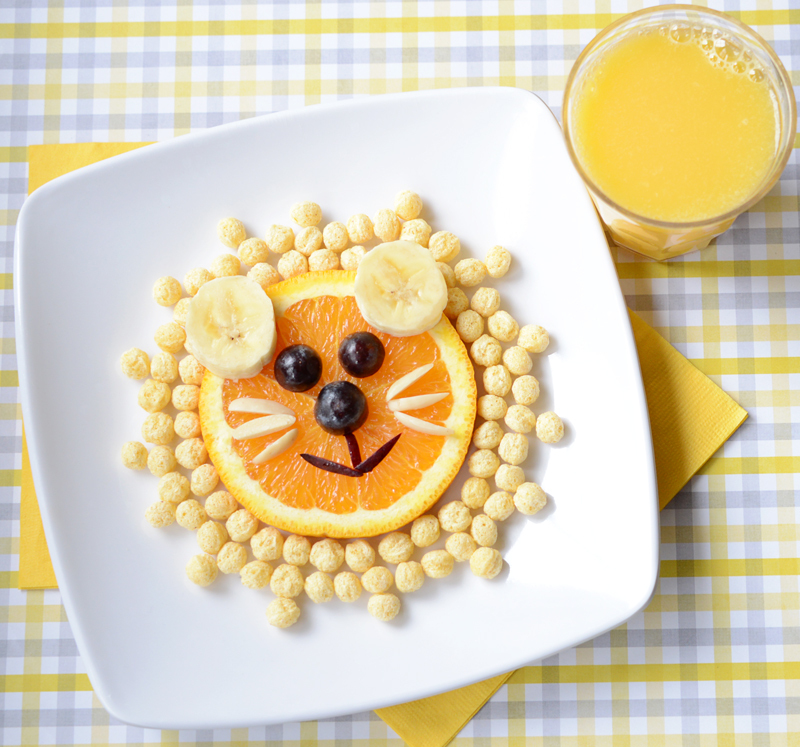 If you’re going to be king of the jungle, you have to start with a healthy breakfast of oranges, grapes and Kix cereal. 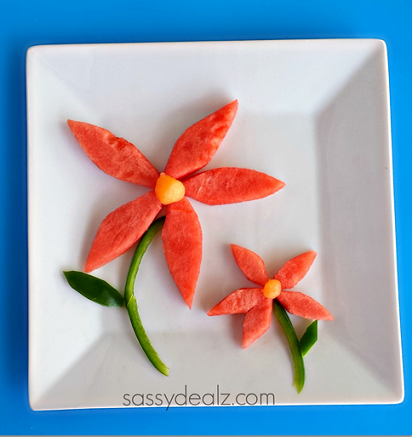 Make watermelon flowers to brighten your kid’s day! 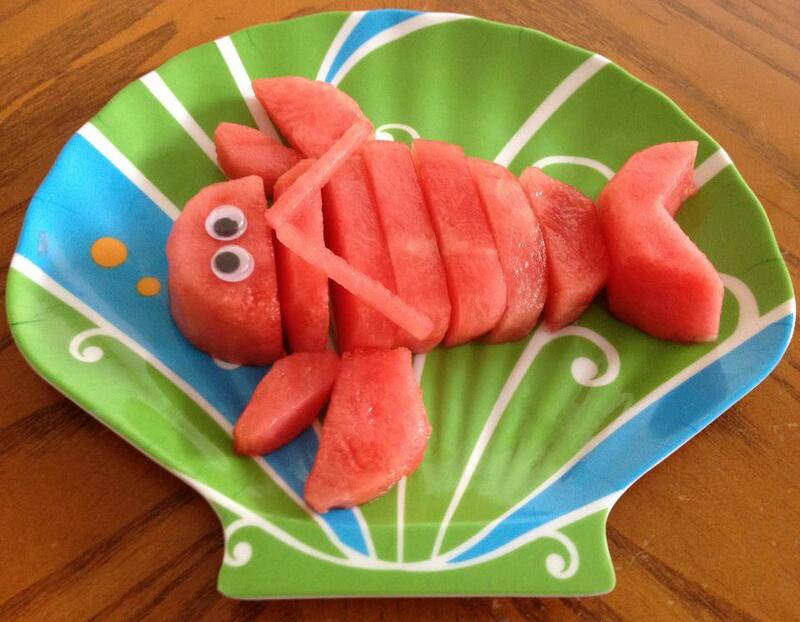 Here’s another watermelon snack that’s perfect for summer (or a beach vacation)… a watermelon lobster! These caterpillar fruit snacks use a wonderful variety of fruits for a colorful and healthy snack. 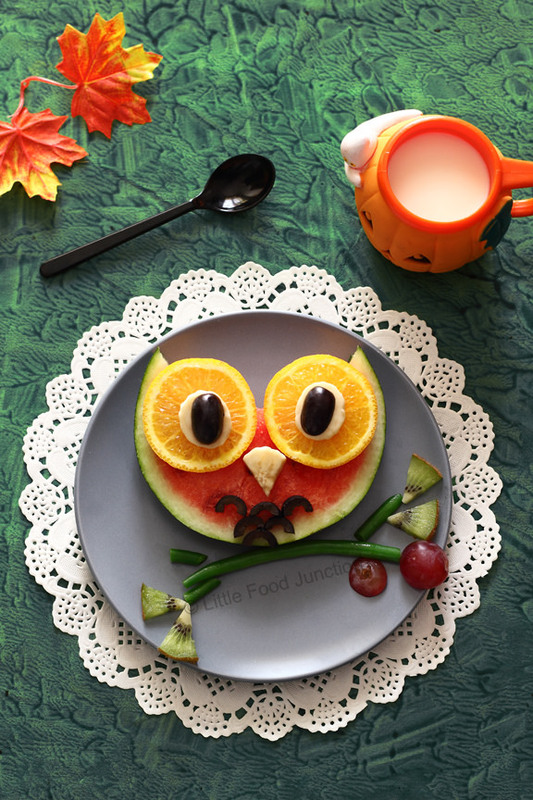 Hoo hoo can resist this adorable owl snack? 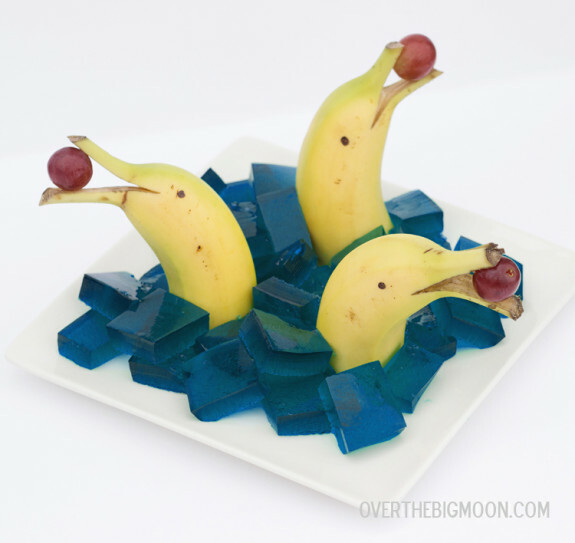 Okay, these banana dolphins are seriously adorable. Who thinks of this stuff? How about a snappy little crab apple (or apple crab, in this case)? 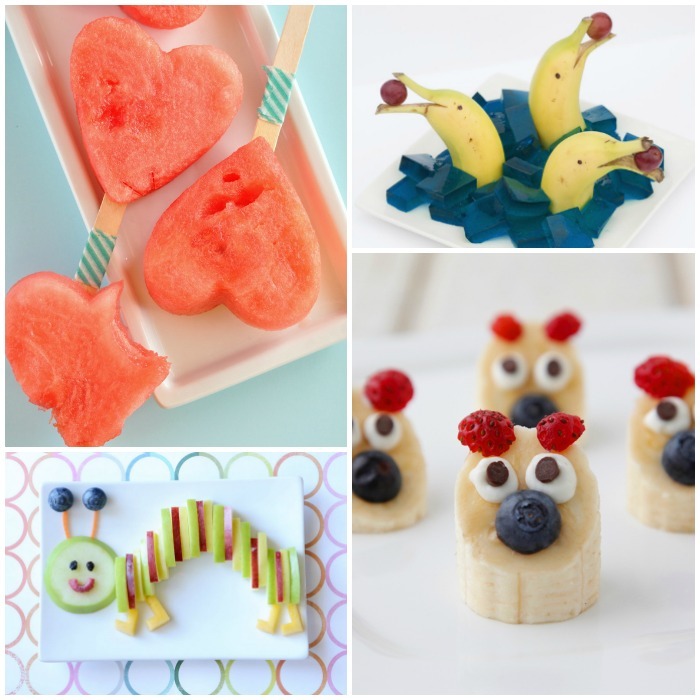 Halos are delicious and pair perfectly with bananas, kiwi fruit and apples to create these tropical themed snacks. 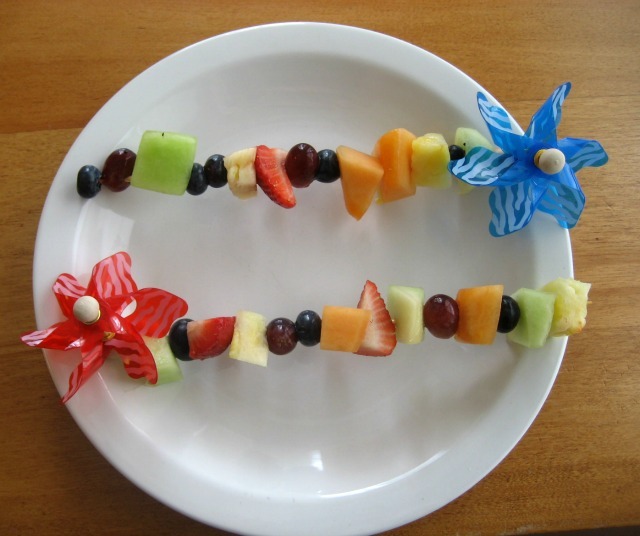 Pinwheel skewers make these fruit kabobs extra fun! 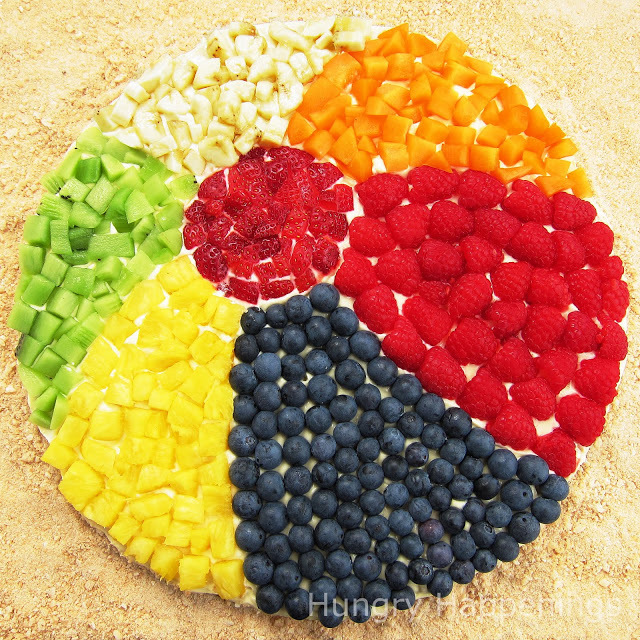 Okay, so it may not be the healthiest option in the list, but this beach ball fruit pizza served on sugar cookie dough sure looks delicious! 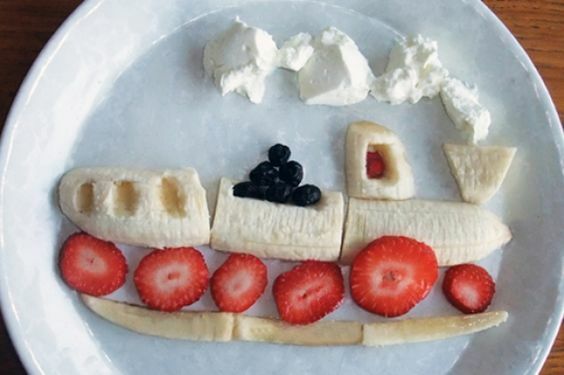 Your kiddos will choo choo choose this train snack over and over again. You can’t go wrong with strawberries, bananas and a bit of whipped cream. 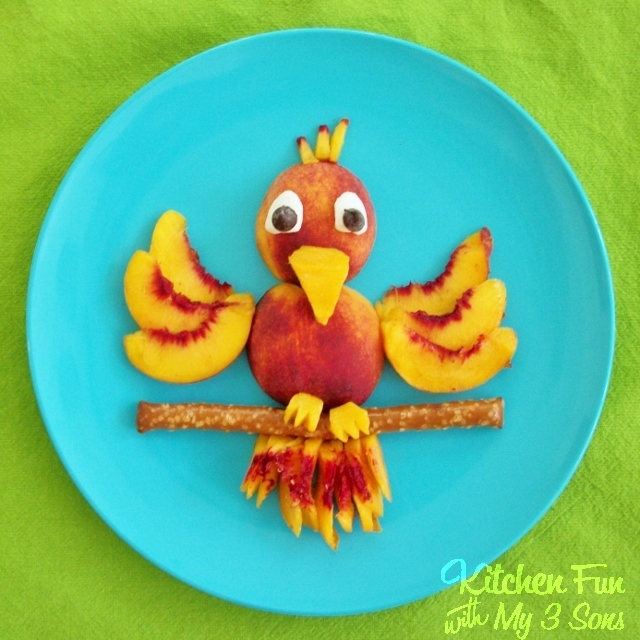 This peachy parrot will be a big hit! 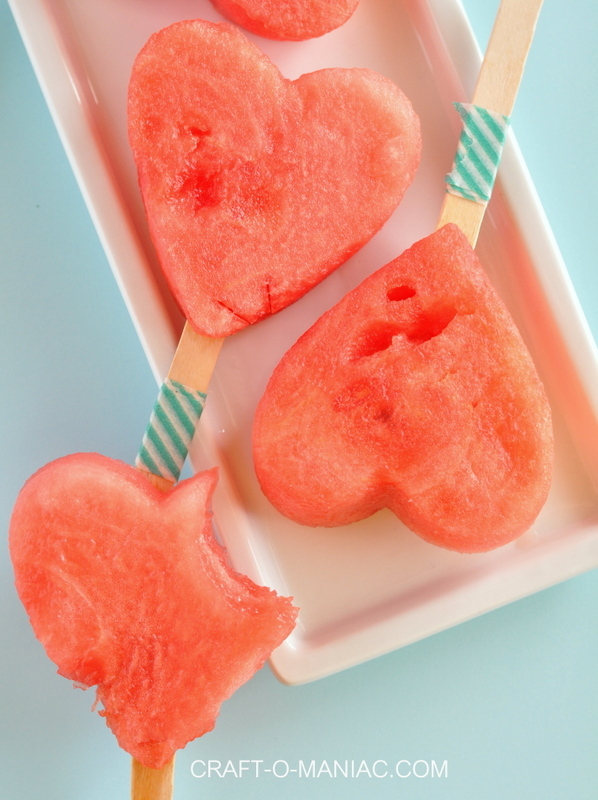 Make watermelon heart pops for a no-mess way to eat watermelon. Get more watermelon hacks here! 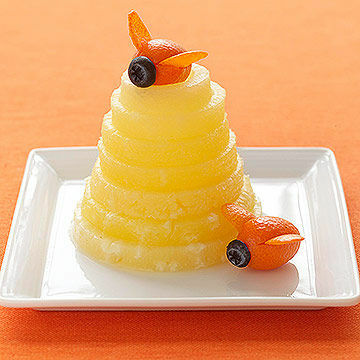 Stack pineapple rings and turn kumquats or another small fruit into busy little bees around the beehive. 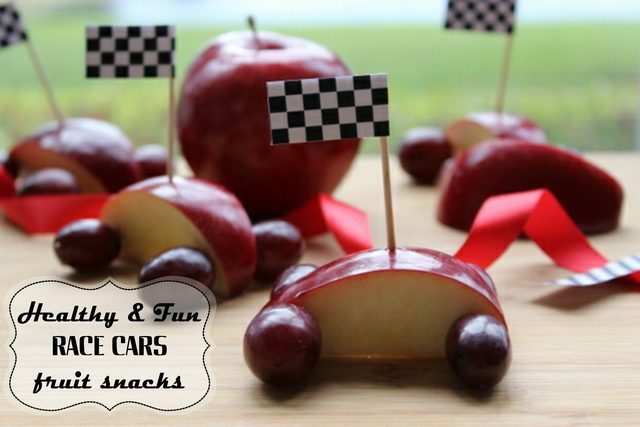 Rev up your engines for these cute race car fruit snacks. Vroom! 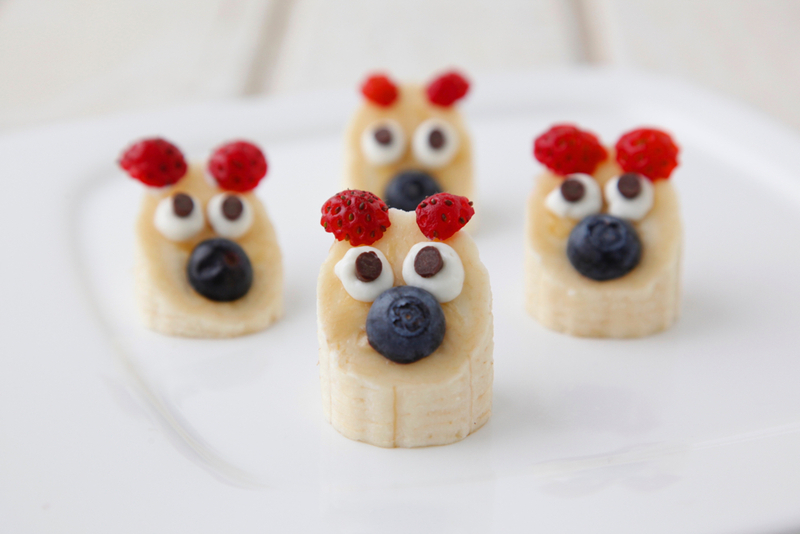 Banana bears would make an adorable classroom snack. Lots of parents would appreciate the healthier option at parties, too!